Who doesn’t love the reddish tones of ipe outdoor decking! But some folks would prefer its silver-gray looks as it ages. That’s weathering! To be more exact, this is natural weathering. And it’s the alternative exterior design solution nowadays. Everyone is talking about creating a backyard oasis, but somehow something is always missing. You might have the outdoor decking but not the right fence to protect you from indiscreet eyes. You might own some garden furniture but where you will put it if you are missing the deck! The vicious circle ends here. Why should we be the guys listening to others making backyard getaway plans? It’s time to join the club and create a landscape that will rock. And this is how. 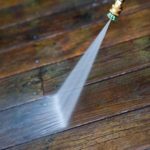 Allow us to start with a generic statement: power washing is one of the best wood deck maintenance tasks. (And here comes the big BUT…) But it depends on how it’s done. And then again, it’s the question of whether or not power washing is the cure of all deck problems! Before we get started, let us define what power washing is and what the difference with pressure washing is. 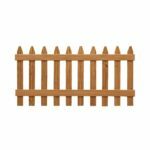 Which Is the Best Wood Choice for Your Fence? Considered as one of the greatest add-ons, wooden fences won’t only provide privacy but also increase the curb appeal and the value of your home. These are the main reasons why people invest in wood fencing in the first place. And so the construction you order to wood fences builders must meet your needs. Don’t forget that not all wood types are the same and their longevity depends on many aspects. What’s the Best Color for Your Outdoor Decking? 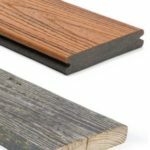 When we talk about outdoor decking, we usually picture wood tones. But this is not the only option. Although such natural hues blend wonderfully in the environment, you can make the sitting area of your backyard a lot more vibrant by using different colors. Should you choose colors at random? No. Just like you pay attention to the interior style of your home, you should be equally careful with the exterior design. 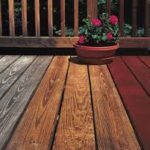 How to choose the best color for your wooden deck? Test and then test again. When you first approach deck companies, you most likely dream of beautiful outdoor environments that will help you relax. And that’s exactly what you get with custom decks. From one day to the next, you stop dreaming about decks and live the dream. But it’s often hard to imagine the whole picture of the full landscape transformation right from the start. 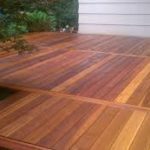 It’s often helpful to get your ipe custom decks and then see what else you can do to spruce up the backyard. Or you might be on a tight budget and prefer to leave extra add-ons for later on. If this time has come for you, check out these makeovers and see your landscape looks improve with only a few moves. Do deck contractors and landscape architects suggest tropical hardwoods to bring an exotic mood to your garden? This could work too. But the main reason for installing mahogany or ipe outdoor decking is their durability. When you spend money on outdoor constructions, you expect to pay a price. But what you also expect is longevity. Now, if the custom decks are (almost) free of maintenance too, even better. 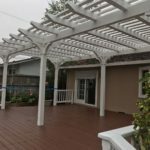 Wood pergolas are not just the extension of your kitchen or living room. They also feature over wooden gates. They can be simple, rustic, modern or sleek and are often paired with outdoor decking. So there is lots of wood in one place and the objective is to match species and colors and be sure of their longevity. 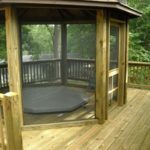 So when it comes to choosing wood for your custom pergola, it’s hardly an easy decision. Since not all wood types are the same, the maintenance of outdoor decking is not the same either. And then it depends on how much the deck is exposed to grease, moisture, sun, and traffic. 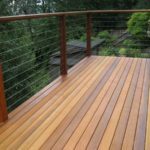 It will also make a difference if your deck is stained and then again which finishes are used. For example, solid ones will make maintenance more difficult. 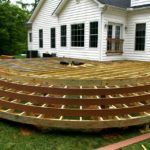 As an overall, softwoods and cheap decks will require more maintenance and regularly while hardwoods will hardly require any sort of repairs. One of the main considerations before ordering custom decks is the material. Wood or composite deck? They both have pros and cons. And at the end of the day, each property in every region has different requirements. All the same, this remains a difficult decision. Perhaps because there are so many choices or limited knowledge of what each outdoor decking offers. With the excellent work of our home renovation contractors and builders in LA, CA, every outdoor project is completed with success.